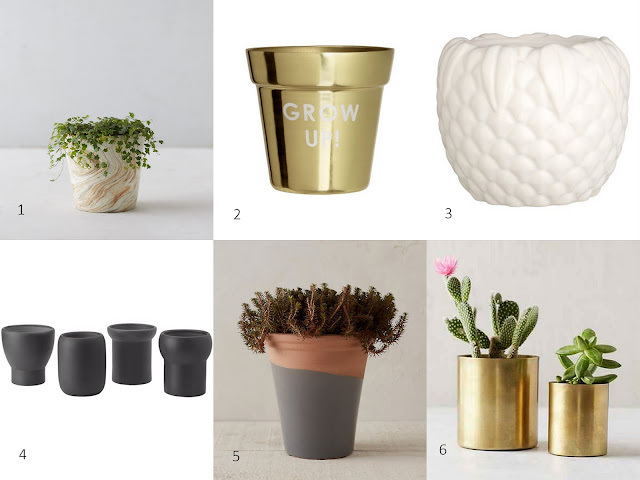 STYLISH INDOOR PLANTERS - HIP HIP HOME! If you are in the market for some footgear for your hard working plants, here are 6 stylish, affordable options that will make heads leaves turn. Gold, vintage, modern, classic- there's one for every occasion. I can even imagine my Pothos donning one of these on a day out in the sun. Totally making the other girls green. Why, you ask? Because they are plants, silly! They are ALWAYS green. So if you need planters, hopefully this helps. If you don't, that still means you do because FACT - a girl can never have too many shoes.